LocalBozo.com has sent one of our correspondents out for some field research, as our own Link Cromwell attempts to bar crawl his way through Hoboken, New Jersey- just a stone’s throw away from Manhattan. Check back for his adventures and travels every single Friday as LocalBozo.com attempts to do the unimaginable. And yes, it involves drinking. The cocktail list at “West Five” reads like a Mixology menu that you would find at a Manhattan speakeasy served by a mustache wearing gent. Instead it exists mere steps away from many of Hoboken’s long standing Italian shops like Fiore’s Deli. Drinks like the “Wrath” ($11) are made with only the freshest seasonal ingredients. The drink features: Ketel One vodka, chambord, pineapple, guava, and fresh grapes. The cocktail list is always expanding, so please check with the bartender for availability. Hungry? No problem. Sit up at the long, multiple seat front bar to catch a game or in the large, warm colored restaurant space and enjoy some “Thai Style Wings” ($12) tossed in sweet chili, lemongrass, ginger, and served with a side of Indonesian Soy sauce. A far cry from the hot sauce and blue cheese variety indeed. 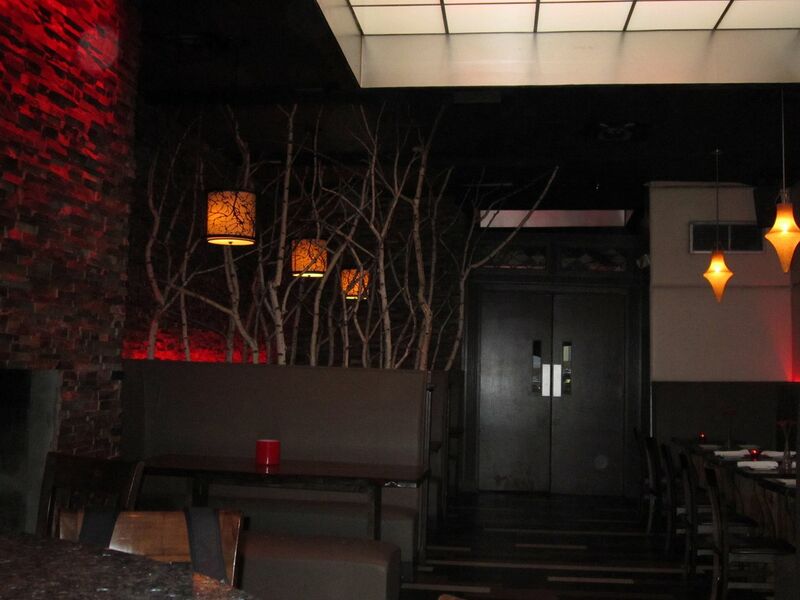 The restaurant area also features a refinished fireplace, cool hanging lights, and even a tree branch sculpture to feed your eyes while you feed everything else. On many nights DJ’s hit The West Five Supper Club’s backroom area spinning danceable tracks from various decades. This space is also ideal for renting out for holiday parties. Make the trip to Madison Street yourself, and chat with the cool bartenders to find out more information. And while you’re there, make sure to grab a pint and tip well! Preconceived notion – Off the beaten path bar with an indistinguishable theme. 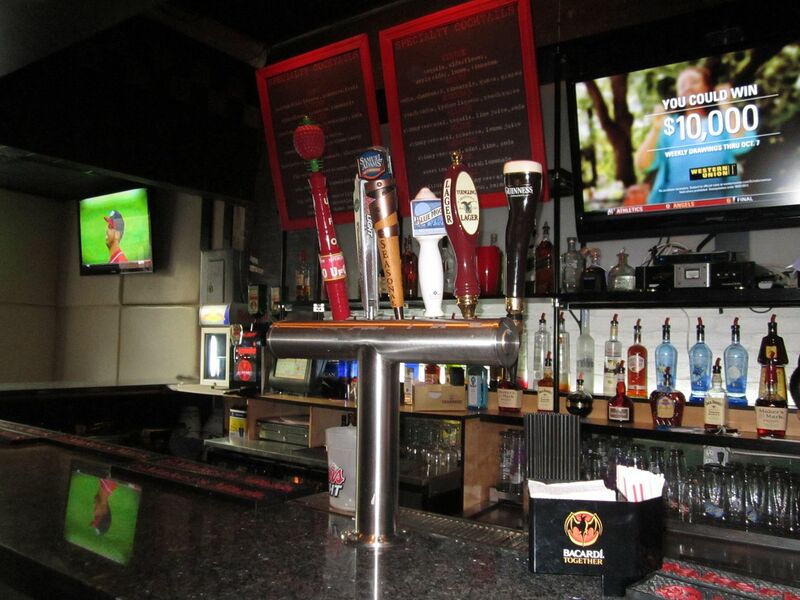 Bar Type – A “Jack of all trades” type joint that marries a fully stocked front bar, restaurant, and dance club together. Crowd stereotype – During Happy Hour there was a few thirty-somethings at the front bar having a drink or two, and one couple in the back having dinner. Music – Top 40 and danceable hits like LMFAO. Value – Weekday Happy Hour specials like $2 Yuengling and Coors Light are unbeatable. Ladies will also love half off mixed drinks as well. Date – You got that right pal. Bring your lady or first date here and impress her with your knowledge of cocktails and eye for trendy decor. Hookup – Yes, if the former Lounge 11 space has taught us anything, this location is like Spanish fly. Dance – Totally. DJ’s appear nightly, and if the front area is packed there is a huge back room. Catch up with a friend – If you want to sit and talk, then go during happy hour and sit up front. First or last drink of the night – Perfect for a few Happy Hour brews or a full night out. Overall – Most people who live in or travel to Hoboken tend to stay close to Washington Street when going out for drinks. The West Five Supper Club is all the way down on Madison Street, which can be a challenge for drawing customers who are stuck in the typical Hoboken routine. But with an overly generous weekday Happy Hour special, a full innovative food menu, and a perfect place to dance on the weekends maybe you should consider taking a longer walk to the bar for a change? That being said, I’ll give it a 7.6.